Four young friends fight their way to the top of the New York criminal underworld. Charlie â€œLuckyâ€ Luciano leads his friends, Meyer Lansky, Bugsy Siegel, and Frank Costello thru the world of organized crime. Battling with the two bosses that yearn for control over the city the four friends find themselves stuck in the middle. Fighting for control of their business and their very lives the four make their way to the top the only way they know how, with the use of brains and brawn. As Michael Mahernâ€™s first story and screenplay with help from fellow writer Nicholas Kazan the twoâ€™s screenplay was brought to life by director Michael Karbelnikoff and brought to the big screen. The filming of the 1920â€™s prohibition era makes this film a very good one, standing out with the realism of the time. The combination of the characters together brings forward the greatest of the greats when it comes to the eras most notorious mobsters, combining this with a wonderful leading cast and an excellent supporting cast. 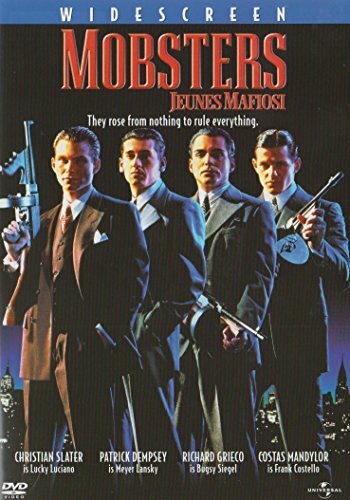 Christian Slater plays Luciano, Patrick Dempsey plays the smooth talking Meyer Lansky, Richard Greico is the hotheaded Bugsy Siegel, and Costas Mandylor as Frank Costello. A wonderful supporting cast that includes, F. Murray Abraham, Anthony Quinn, Chris Penn, Lara Flynn Boyle, and Michael Gambon finish off the long list of names in the movie. From a story that was put together very nicely and transferred to the big screen with ease, the acting from this cast was without a doubt makes things flow wonderfully. It is definitely any gangster movie fans movie of choice.